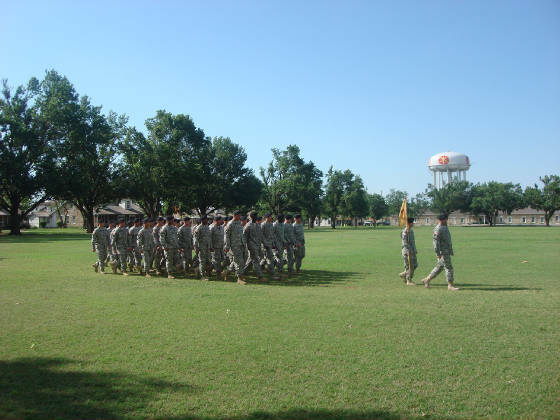 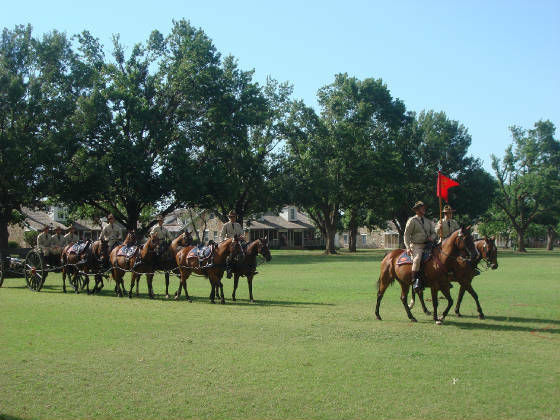 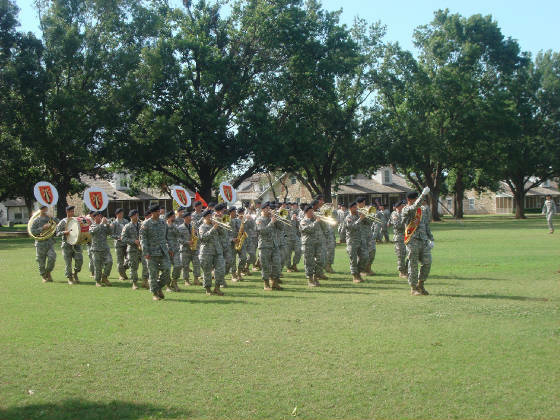 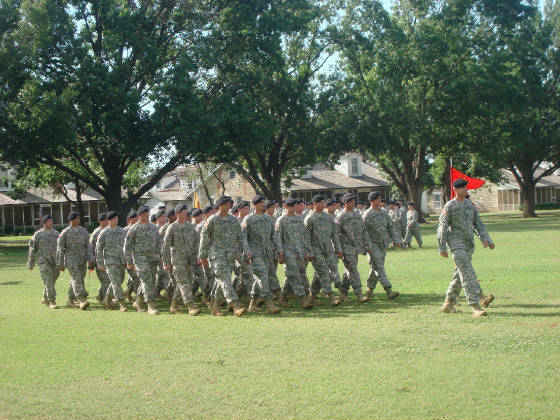 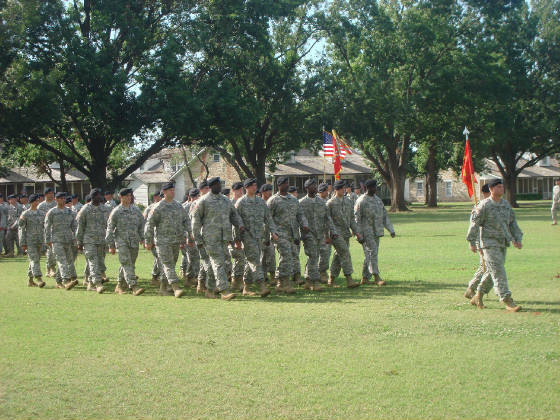 Soldiers of 1st Battalion 14th Field Artillery participated in the ceremony passing command of the battalion from LTC Anthony V. Gonzales to LTC Robert G. Picht, Jr., at Fort Sill's Old Post Quadrangle on 30 June 2010. 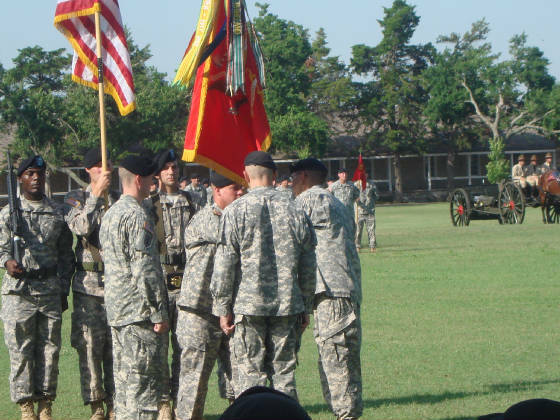 COL Richard Cabrey, Commander, 214th Fires Brigade was the Reviewing Officer. 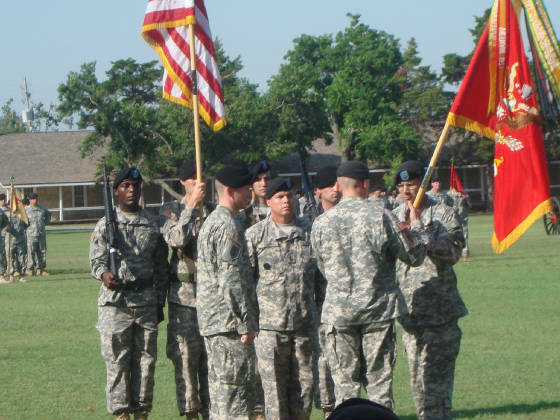 CSM David W. Carr, Command Sergeant Major, 1-14 FA, transfers the battalion colors to LTC Gonzales. 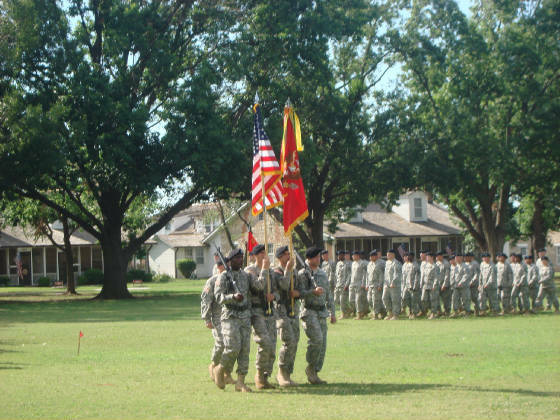 The transfer of command begins as LTC Gonzales passes the colors to COL Cabery. 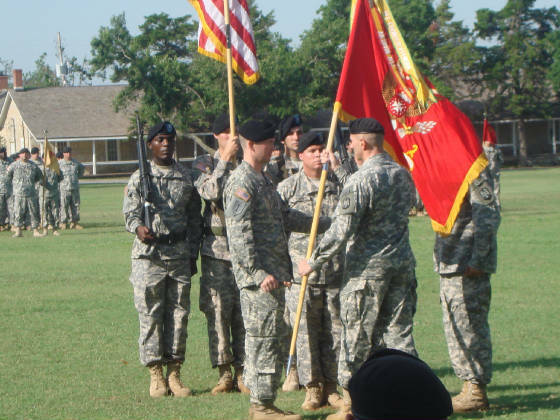 LTC Picht receives the colors from COL Cabrey and assumes command of 1st Battalion 14th Field Artillery. 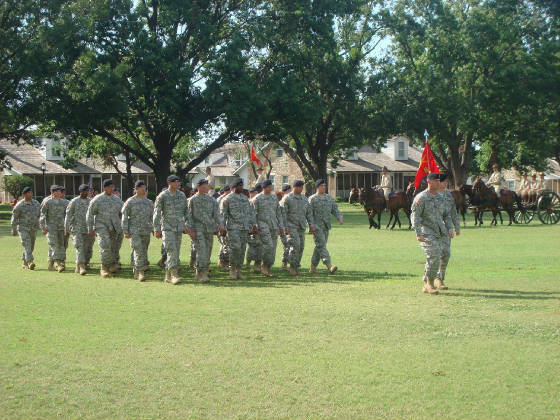 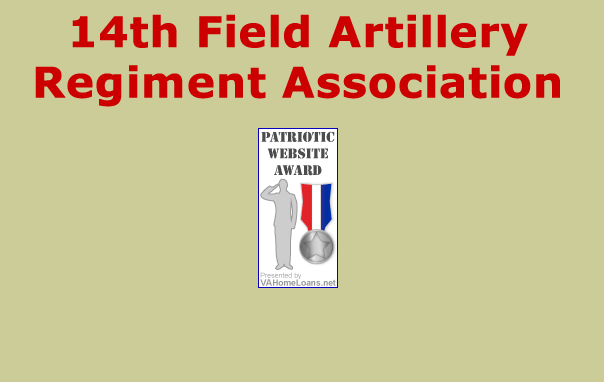 1st Battalion 14th Field Artillery Staff led by LTC Picht, Battalion Commander. 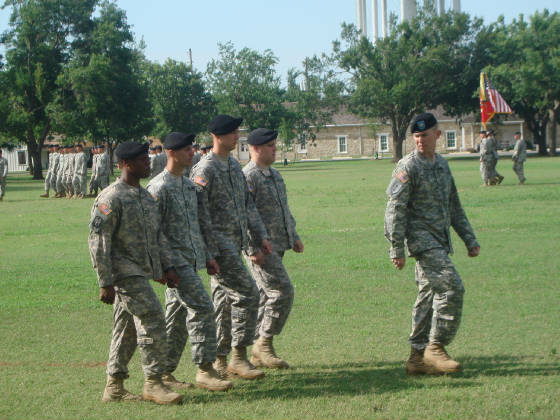 First Sergeant: 1SG David Lukasik, Jr.